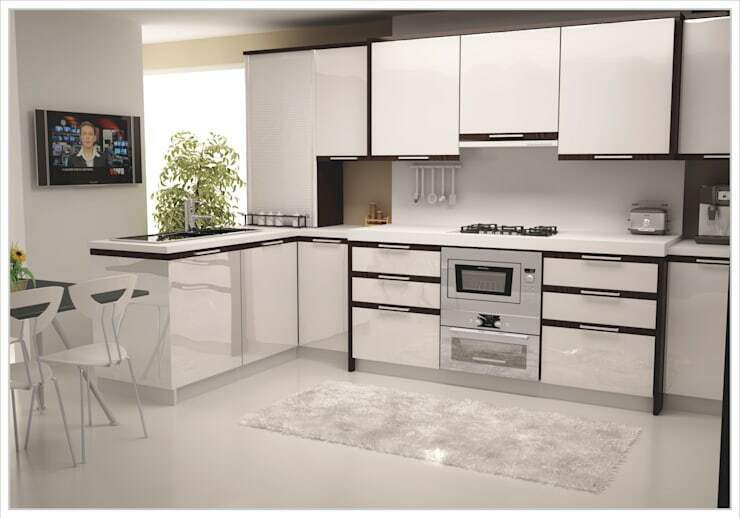 When it comes to the kitchen, there are so many different varieties, styles and designs. It can be hard to know which one to go for! This is why today at homify, we've put together an array of 10 Turkish kitchens to feast your eyes on. Turkey is a country that prides itself on delicious meals and home-cooked goodness, which is why exploring their kitchen designs is sure to leave us inspired! What's more is that all of these kitchens are a classic white design, showing us just how much you can achieve with a simple colour. The diversity will blow you away. Are you ready to feast on some hot decor and design? A kitchen is the heart and soul of the home after all! In order to create a pleasant aesthetic effect, it is necessary to contrast white tones with darker tones. Here we can see how brown can be used to create a soft but very pleasant look and feel. It creates a very warm and welcoming environment! 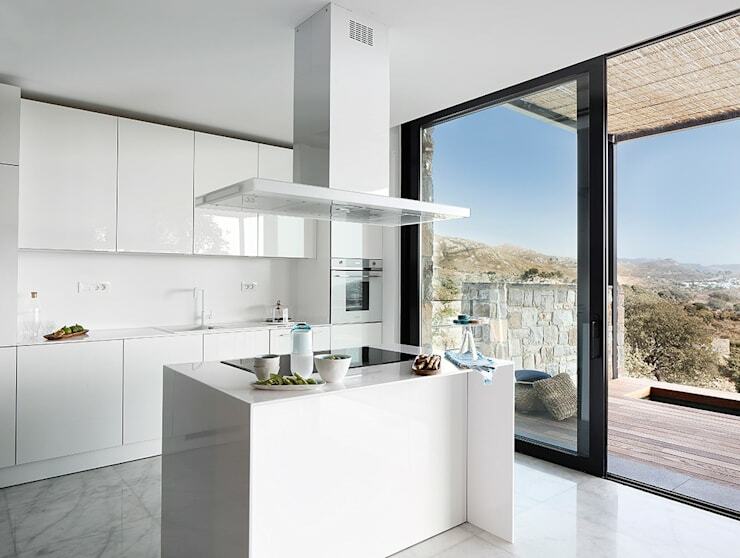 This simple and minimalist kitchen, located in the popular resort town of Bodrum, is the perfect example of how chic a white kitchen can be. The clean lines and white tones work in harmony with the natural light that flows through the large glass doors. 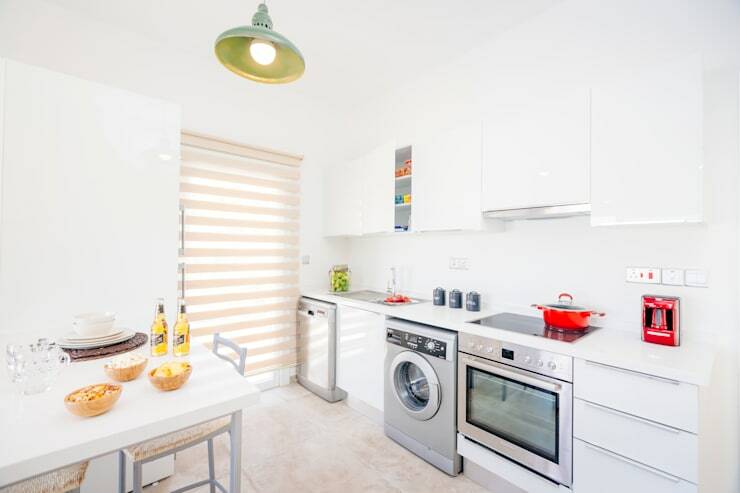 A white kitchen is very beneficial, but why not furnish it with some colourful and decorative elements, giving it a burst of colour and life? As we can see in this image, a carpet can perform this function beautifully! The white kitchen in this design is not only refreshing and pure but it also works in harmony with the shiny marble floor. This is an ideal combination, especially in summer houses. If you want to avoid a monotonous white kitchen, this example is for you! Do you see how the decorative elements such as the pots, cutlery and crockery, introduce a vibrant touch to the cooking area? In this kitchen, we can see how edgy and sophisticated a black-and-white design is. This is a very modern and stylish look and feel. Don't you love how the black finishes add a decorative detail to the space? Also have a look at these 10 fabulous black and white kitchens. 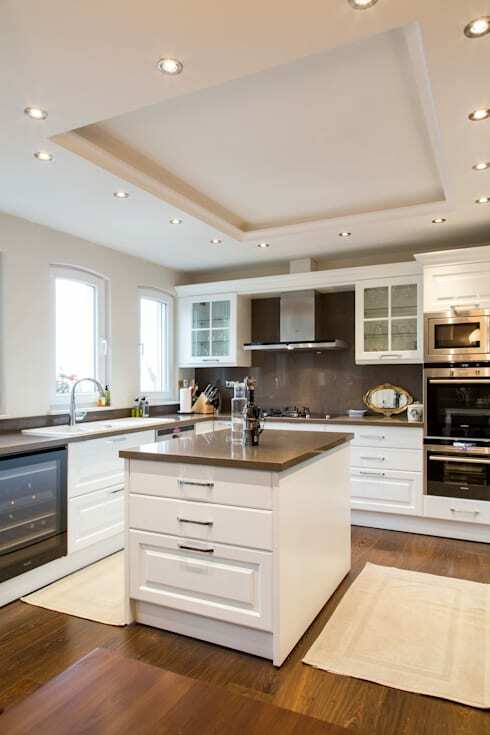 This eye-catching white kitchen, designed by professionals Sena Hayfavi is simply stunning. The wooden counters bring a warmth to the space while the white cabinets, patterned floors and mosaic tiled walls evoke a sense of nostalgia. 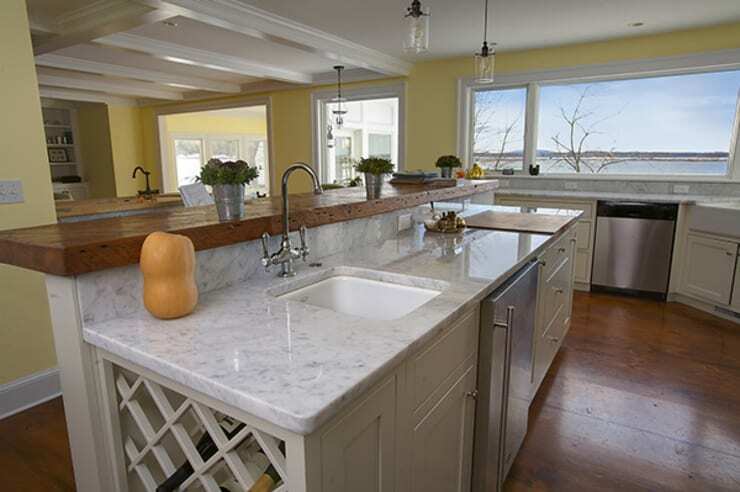 Marble is a fabulous material for the kitchen because it is durable and easy to clean. As we can see in this image, it can also bring a gorgeous design feature to a cooking area. You can opt for white marble tops to accentuate the light and bright design. Some kitchens are smaller than others and this is where white comes in. White can create a sense of space, making a room seem that much bigger than it really is. 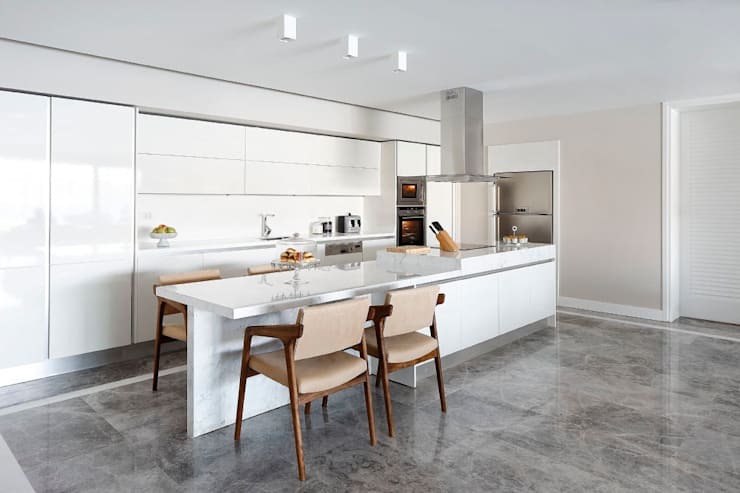 White can be the ideal colour in an open-plan kitchen. It creates a consistency throughout the interior design and a very refreshing and energized environment. 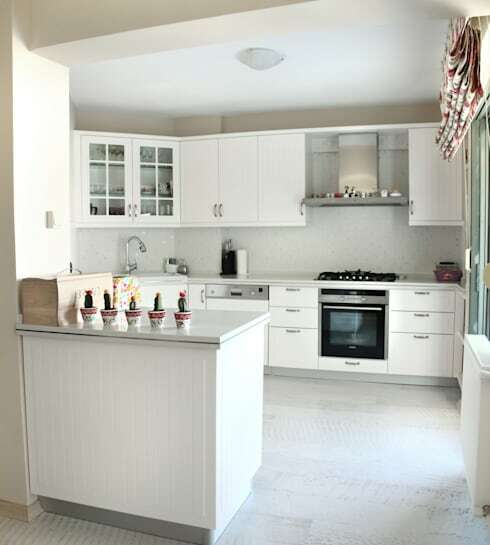 If you've enjoyed these Turkish kitchens, you'll love these 10 all-white kitchens. Would you go for a white kitchen?